Book Description: Introduction to the problems, history and nature of philosophy with reading and discussion of selected writings from the Pre-Socrates to the present, focusing on traditional Western philosophical issues. This book is a cloned version of Philosophy 101 by Cathy Hagman, published using Pressbooks by Whatcom Community College Library under a CC BY (Attribution) license. It may differ from the original. Philosophy Readings by Whatcom Community College is licensed under a Creative Commons Attribution 4.0 International License, except where otherwise noted. 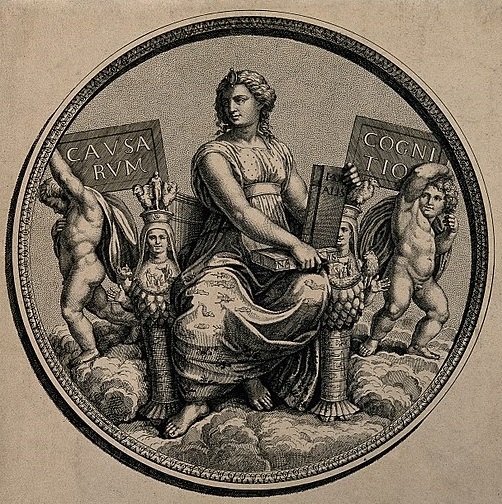 Cover image: “A female figure representing philosophy. Etching by B. Audra” by Wellcome Images. CC BY 4.0 via Wikimedia Commons.